The sisters of Robert McCartney have said their campaign for justice has now ended after the murder of Gerard 'Jock' Davison, whom they believe gave the order to kill their brother. "We wanted Jock to face justice in a courtroom, not down the barrel of a gun," said Catherine McCartney. "But the type of justice we hoped for has eluded us. We will never see Jock standing in the dock now. "Our campaign for Robert is effectively over because Jock's death means he can never be held accountable for what he did that night." Speaking exclusively to the Belfast Telegraph, the McCartney sisters condemned Davison's murder. The former IRA commander was shot dead on Tuesday morning near his home in the Markets area of Belfast. Catherine said: "Murder is wrong and can never be justified. As a family, we condemn Jock's murder. But we are sickened that politicians are pretending that he was a saint. "This man brought death and destruction into our family and into many families across Belfast. It is nauseating that politicians from a range of parties are trying to whitewash his murderous past." Another sister, Paula McCartney, said: "We have no sympathy for Jock Davison but we do have sympathy for his family. They are now grieving just like we grieved 10 years ago. They now know the pain of losing a loved one." Robert McCartney, a 33-year-old father-of-two from the Short Strand, was stabbed to death by IRA members outside Magennis's bar in Belfast in January 2005. His five sisters stepped forward to challenge the Provisionals and the code of omerta which ruled in working-class nationalist areas. Their impassioned campaign for justice took them across the world, including Strasbourg and Washington where they met President Bush. The McCartneys have always insisted that Jock Davison gave the order for their brother's murder - a claim he denied. They say that after the fight broke out in the bar, Davison drew a finger across his throat to indicate to his henchmen what he wanted done to Robert and his friend, Brendan Devine. Both men were followed into Market Street where they were beaten, kicked, stabbed and left to die. Devine survived but McCartney died in hospital nine hours later. Catherine said: "Jock Davison didn't wield the knife that killed my brother but we hold him more responsible than the Provo who frenetically stabbed Robert. "Jock Davison chose to let the mad dog off the leash." Paula said: "Had Jock Davison not been in Magennis's bar that night, Robert would be alive today. "The fight in the bar would still have happened but that is all it would have been, a fight. "At worst, Robert would have been left with bruises and a bloody nose. There would not have been a dead body. It was Jock Davison who chose to turn it into something far more deadly that night. "As a family we are still living with the repercussions of Jock's actions. We can't even visit Robert's grave. I went a few times but found no comfort there - it was too traumatic." The McCartney sisters said they were incensed at politicians paying tribute to Davison as a respected and valued community worker. Catherine said: "Jock is obviously a loss to his family but he is not a loss to the community. "Jock Davison wasn't a positive person in the community. His legacy to the community is one of death and mutilation. He was involved in numerous murders and punishment beatings. "There are dozens of families who lost loved ones because of him or who had loved ones beaten to a pulp in alleyways in the dark of night. "This is a so-called community worker who put people in early graves. Yet nobody is mentioning his victims. "Had this been Mark Haddock, politicians wouldn't be getting away with spouting this rubbish. I view Jock Davison no differently to Mark Haddock. To whitewash this man's legacy is an insult to his victims. How dare they." Haddock is a notorious former loyalist terrorist and police informer who was jailed for 12 years last June in London for a knife attack on friend and fellow informer Terry Fairfield. 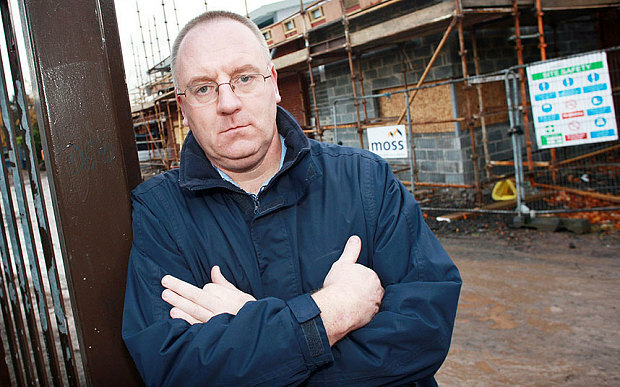 The former Mount Vernon UVF leader has been linked to 21 murders but never convicted of any. The McCartneys said they were particularly disgusted at Alliance's South Belfast Westminster candidate, Paula Bradhsaw, who expressed "extra sadness" at Davison's murder, stating: "I knew Gerard through the community sector and of his hard work for the Markets community." Catherine said: "Is that all it takes to wipe out somebody's murderous past, for a politician to cut a yellow ribbon with them at a community event? 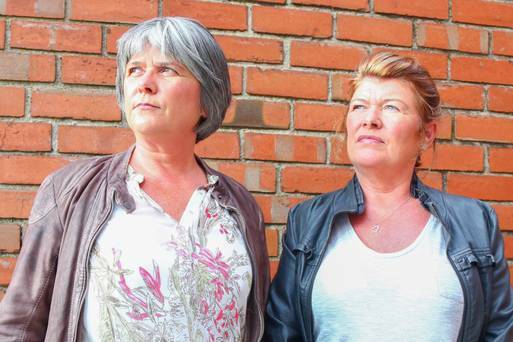 "Paula Bradshaw's crass comment illustrates how badly victims are treated in Northern Ireland. "Politicians bemoaning the loss of Jock Davison is highly offensive to bereaved families sitting at home with empty chairs because of him." The McCartneys also lambasted the police for their comments about Davison. Detective chief inspector Justyn Galloway said that although Davison, like many people in Northern Ireland, had a past "that is in the past". Catherine said: "I am appalled at Justyn Galloway's statement. It contradicts everything the PSNI has told us. The police never informed us that Robert's murder investigation was over. "The police had evidence against Jock Davison. For us, he remained a central suspect in a murder investigation. By these comments it feels like the police had already relegated Robert to the dustbin of history. "But maybe if a murderer puts on a community worker hat, sits down and has tea and buns with the police, the slate is wiped clean." In 2008, three men went on trial in connection with Robert's death. Terry Davison, Jock's uncle, was charged with murder; Jim McCormick and Joe Fitzpatrick with causing an affray. All three were found not guilty. The McCartneys alleged that the police never had any interest in bringing Robert's killers to justice and the prosecution was "just window-dressing". Catherine said: "Jock was the person we most wanted in the dock because the murder was carried out at his behest. "But we felt the police were never interested in seriously going after him. "We felt he was protected. We repeatedly asked detectives if he was an informer. We were just told the issue of informers was irrelevant to the investigation." The sisters believe that Davison's senior rank in the IRA meant that the organisation initiated a cover-up after Robert's murder, destroying vital evidence. "Had it been just run-of-the-mill Provos involved, our family would have had a far greater chance of achieving justice," Catherine said. "But Jock's senior position in the movement meant they were never going to just spit him out." While Davison was publicly expelled by the IRA for events in Magennis's bar, Catherine said the presence of senior republicans on the ground after his shooting on Tuesday, and the warm tributes paid to him, showed that he remained intricately involved with the organisation. She said: "Jock Davison entered our lives uninvited 10 years ago. He took away Robert's precious life. "Had Jock been held accountable by the state for his many murderous actions, justice would never have been meted out to him on the streets. "I see his murder as an unfortunate, awful result of what happens when the system fails victims. "You can't leave people without justice." Paula added: "Had the police acted on evidence, Jock Davison would now be doing time in Maghaberry jail. "By not upholding the rule of law, the authorities have paved the way for mafia law on the streets." Police in Northern Ireland have arrested a 41-year-old man in connection with the murder of former IRA commander Gerard ”Jock” Davison. The man was detained in Belfast on Wednesday morning. Police also searched a flat in the north of the city on Tuesday night in connection with the killing. 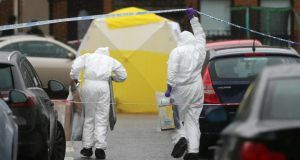 Within hours of the fatal shooting in the Markets area of central Belfast, detectives ruled out involvement of hardline anti-peace process republican organisation or loyalist paramilitaries. The murder took place at the corner of Welsh Street and Upper Stanfield Street, close to an office where Davison was employed as a community worker. Local people reported children screaming, with one shouting: “Daddy, Daddy” when the gunman fired at the ex-IRA activist. The gunman, who witnesses said was wearing a hooded jacket that concealed his face, escaped by running up an alleyway. Shortly after the shooting several senior republicans from across Belfast visited the inner-city area to support Davison’s family and friends. Davison is the most senior pro-peace process republican to have been killed since the IRA ceasefire of 1997. Security sources said it was unlikely that any Ulster loyalist group was behind the murders, adding that the killer may have come from the nationalist community and possibly had a longstanding grudge against the victim. The investigating officer, DCI Justyn Galloway, issued a fresh appeal on Wednesday for information about the killing. “This was a cold-blooded murder carried out in broad daylight in a residential area and it has no place in the new Northern Ireland. The suspect was detained in Belfast this morning and is being questioned at a police station in the city. A property in north Belfast was searched last night as part of the overall investigation,” he said. A central Irish Republican Army figure in one of the outlawed group's most notorious killings has been shot to death in Belfast, residents and police said Tuesday. No group claimed responsibility for shooting Gerard "Jock" Davison at short range outside his home in the Markets neighborhood of south-central Belfast. 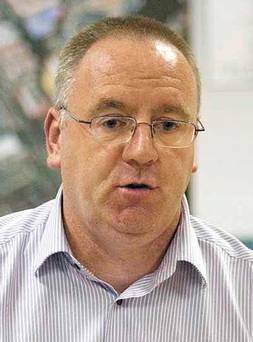 Davison was a Belfast IRA commander when he allegedly ordered IRA comrades in 2005 to attack a man, Robert McCartney. McCartney's widow and four sisters took their demands for justice all the way to the White House, and their embarrassing campaign helped spur the IRA to renounce violence and disarm later that year. Davison was arrested on suspicion of ordering the killing but not charged. Two others, including his uncle Terence Davison, were charged with McCartney's murder but acquitted in 2008. McCartney's sisters accused Gerard Davison of making a throat-slashing gesture to his IRA colleagues in the crowded pub shortly before McCartney, 33, was fatally stabbed outside the pub. IRA members confiscated the pub's surveillance video footage, cleaned up the forensic evidence and ordered pub-goers to tell police nothing or risk IRA retaliation, according to police and court testimony. IRA representatives met McCartney's widow and sisters and offered to have the IRA members responsible killed as punishment, an offer they rejected. The IRA and its allied Sinn Fein party later announced they had expelled three IRA members and eight Sinn Fein members over their alleged role in the assault on McCartney and the evidence cover-up. Davison's body lay in the street Tuesday outside his home until police covered it with a sheet, then constructed a tent around the scene of the killing to preserve forensic evidence. Most IRA members are observing a 1997 cease-fire in support of Northern Ireland's peace process. But splinter groups continue to mount bombings and shootings and feuds within their fractured ranks can turn deadly. In Northern Ireland's last fatal shooting, a former Belfast commander of a faction called the Continuity IRA was killed in April 2014 in Catholic west Belfast. This page was loaded Apr 22nd 2019, 10:15 pm GMT.